Each of our standard hotel guest rooms, while slightly smaller than our deluxe rooms, offers elegant accommodation with approximately 375 square feet of space and fine touches including queen-size beds with luxurious, 400-thread count embroidered linens, Anichini throw blankets, and foam and 100% goose down pillows. 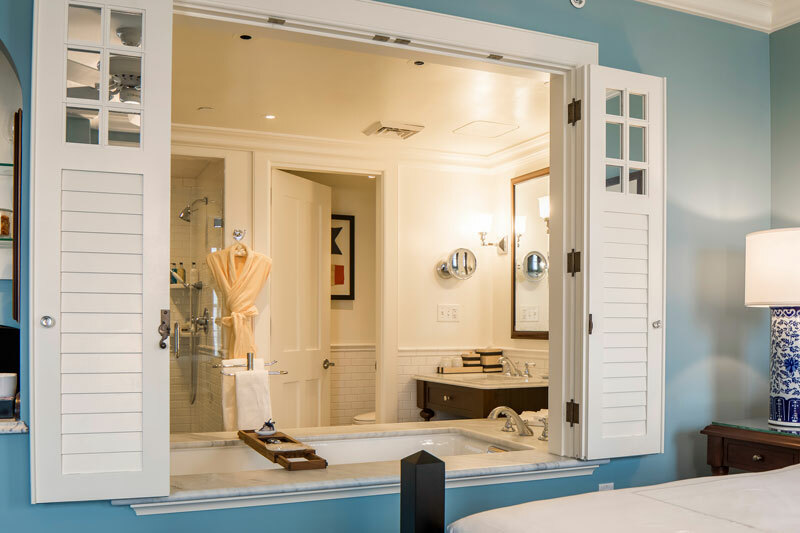 Refresh in well-appointed comfort with 100% cotton Italian woven towels, plush bathrobes and marble bathrooms with a large shower. 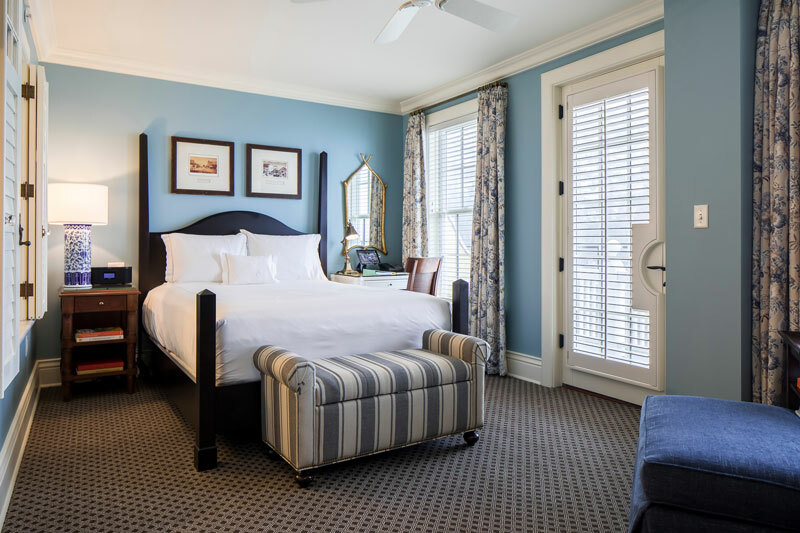 Our luxury hotel rooms feature amenities such as an in-room iPad for guest requests, complimentary refreshments and high-definition cable television. 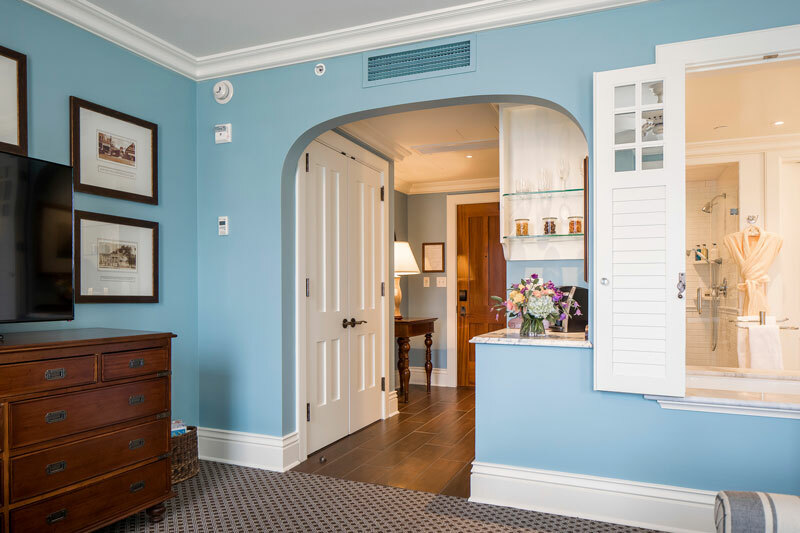 Offering a wealth of thoughtful amenities, Ocean House offers an unparalleled guest experience. Ocean House provides a number of complimentary resort activities. Click here to explore this month’s offerings. Ocean House is a gratuity-free property excluding our food and beverage outlets. • Check-in is 4:00 p.m.
• Check-out is 12:00 p.m.
• We try our best to accommodate requests for early check-in and late check-out but no guarantees can be made.